Wrinkles in the skin are caused by the laxity in the deeper layers of the skin associated with aging and also by the lifelong contraction of facial muscles. 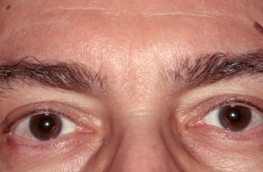 Correction of wrinkles can be carried out by various means one of which focuses on reducing the contraction of muscles. BOTOX® is such an agent. BOTOX® is a substance derived from bacteria, which binds to muscle fibres and weakens their action. To have an effect it must be injected into the muscle. Once injected into a muscle the molecule binds to the receptor site on the muscle fibre and prevents the muscle from contracting. The maximum effect takes about 48 hours to develop after the injection. The effect lasts from 2 to 6 months and varies considerably among individuals. The average length of the effect is 3 months. 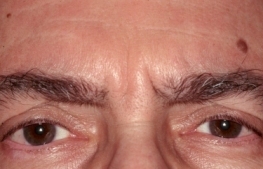 This means that in order to achieve adequate wrinkle control the injections must be repeated every 3 months or so. Some patients will experience slight burning at the injection site during the injection. Occasionally a small bruise will appear at the injection site and will persist for a few days after the injection. BOTOX® has many uses in medicine (primarily the relief of muscle spasms in diseases such as blepharospasm) but for cosmetic purposes it is used to flatten wrinkles on the face. It is especially good for treating the vertical wrinkles that appear between the eyebrows. It is also very effective for controlling the horizontal wrinkles that cross the forehead. Horizontal wrinkles on the saddle of the nose can be eliminated and the "crows feet" at the outside corners of the eyes can also be smoothed. BOTOX® when injected into the muscles of the face can weaken them slightly in order to remove wrinkles in the skin of the face. The effect is excellent and lasts about 3 months in most patients.